There will be 3 sessions: Morning / afternoon / evening sessions with breaks in between. The Holy Spirit will guide us into praise an worship, preaching and teaching, anointing and sending out! Apostle Rudolf Ryser, Ph.D., D.Min. welcomes you to this Revival Conference 2013! Come for Revival in the heart of Switzerland! We are pleased to have with us Jim Cernero, Revivalist/Healing and Worship Minister. He is working with Benny Hinn for 22 years! Learn more about Jim Cernero, see next Post! Come for Fire Revival! 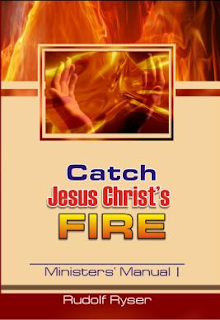 Catch the fire, refuel and get your healing or miracle through the hand of Jesus Christ! Registration is free but required. Registration ends August 23rd.